The focus of this year's World Cancer Day (4 February 2014) is on Target 5 of the World Cancer Declaration: Reduce stigma and dispel myths about cancer, under the tagline 'Debunk the myths' (the 4 myths of— we do not need to talk about cancer; there are no symptoms of cancer; there is nothing I can do about cancer; I do not have the right to cancer care). Myths indeed these are, and coupled with gender inequities, they restrict women in low resource settings from accessing essential cancer services for early detection and cancer prevention programme. Over 85% of the 275,000 women who die every year from cervical cancer are from developing countries. According to the National Institute of Health and Family Welfare, India has an estimated 2.0 - 2.5 million cancer patients at any given point of time, with about 0.7 million new cases every year and nearly 50% of them die every year. More than 60% of the affected patients are between the ages of 35 and 65 years. 50% of all cancers in males are and 25% in females are tobacco related (total of 34% of all cancers are tobacco related). Amongst women cervical cancer is the most commonly diagnosed cancer in India, followed by breast cancer whose incidence is increasing in urban areas. in the world. The current estimates indicate approximately 132,000 new cervical cases diagnosed and 74,000 deaths annually in India. According to Globocan (WHO), India recorded 145,000 cases and 70218 deaths due to breast cancer in the year 2012. Dr Amita Pandey, Associate Professor, Department of Obstetrics and Gynaecology, King George's Medical University (KGMU), says that, "The common gynaecological cancers seen in my setting are cervical cancer, uterine/endometrial cancer and ovarian cancer. Cervical cancer is the commonest gynaecological cancer see in Indian women. Some studies have reported a higher incidence of gynaecological cancers in urban areas as compared to rural areas, suggesting that urban women may have a higher exposure to environmental xenoestrogens which may increase the risk of developing hormone related cancers. A review of studies on dietary habits and incidence of cancers suggests that a diet high in carotenoids, fruits and vegetables reduces the risk of cervical ovarian and endometrial cancers. 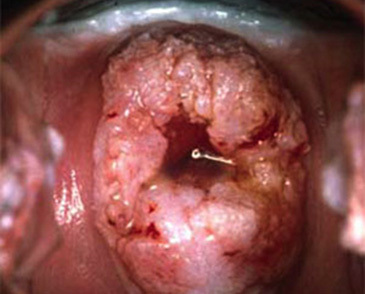 High intake of vitamins C and E has also shown to reduce the risk for cervical cancer." Dr Pooja Ramakant, Associate Professor, Department of Endocrine and Breast Surgery, Christian Medical College (CMC), Vellore, manages mostly breast cancer and thyroid cancers. "In our department we see around 400 patients with breast cancer and an equal number for thyroid cancer per year. Analysing the data of the last 200 patients with thyroid and breast cancer seen in our department we found that the overall incidence in women was 87% compared to 13% in men. Our patients come from all over the country, but most of them are from low and middle class status. Mean age of women presenting with breast cancer in our data is 39 years. In the west, the mean age is over 50 years." Dr Pooja Ramakant rues that, "In India, when a woman feels a lump in her breast, she delays coming to a doctor, wasting time in seeking non-surgical methods while the lump keeps increasing and becoming more painful. By the time she finally sees a doctor the cancer is already locally advanced or metastatic and that adversely affects the prognosis and survival. The cost of treatment also goes up compared to early stage cancers. In fact, with early presentation, patients with malignant breast lump less than 1cm size may not even need chemotherapy. In the West, majority of the patients seek treatment in early stage of the disease and the breast is conserved and only the area having tumour tissue with some nodes is removed, whereas in our country mastectomy or removal of full breast is the norm. The only way to avoid extra expenses, toxicities of chemotherapy and expect a good long survival is to present early to a doctor." In case of breast cancer the most common risk factors cited by Dr Pooja Ramakant are: a sedentary life style and lack of exercise; obesity; smoking; late age at first child birth; nulliparity; excess estrogen; early menarche and late menopause; not breast feeding; radiation hazards; junk food and at times genetic mutations which may run in the family. If a woman in a family have had breast cancer at a young age (less than 35 years) then her genetic test needs to be done and if found positive her siblings and children need to be screened for breast cancer. Talking of myths Dr Pandey says, "Common myths related to gynaecological cancer in women are: there are no early symptoms of such cancers; ovarian cancer is deadly; cervical cancer cannot be prevented; oral contraceptive pills increase the risk for gynaecological cancers; only promiscuous women get HPV (human papilloma virus); if you have HPV, you will probably get cervical cancer; if a woman gets the HPV vaccine she no longer needs the Pap or HPV test." Dr Ramakant adds, "Another very common myth is that diagnosis through fine needle test and surgical treatment of cancer will spread the cancer. However there is no scientific evidence to prove this. Many people also believe that cancer is infectious, which is not true." Who can better champion the cause of cancer than a survivor herself? I met Maria Jocelyn Kara Magsanoc Alikpara, a Filipino breast cancer survivor of nearly 17 years, at the 7th Asia Pacific Conference on Reproductive and Sexual Health and Rights (7th APCRSHR) in Manila. She said to Citizen News Service (CNS): "Fifteen years ago I started the I-CAN-SERVE Foundation in 1999, a Philippines based advocacy group of breast cancer survivors that promotes early breast cancer detection. In 2008 we started 'Ating Dibdibin' (Take Your Breast Care to Heart) - a community-based breast cancer screening programme to save more lives. The objective is to save more lives. And the biggest barriers to this are the high treatment expenses and the fear that breast cancer is automatically a death sentence. These are the two barriers the programme tries to address." Kara explains that the programme is all about collaborations and partnerships: "We partner with the local government units. In Philippines the mayor of a city is in charge of the city health office and so he/she has the resources to implement an early breast cancer detection programme. We partner with the mayors who include breast cancer screening expenses in the annual city health budget and also subsidize or pay fully for diagnostics and treatments for anyone diagnosed with breast cancer. They also make the programme permanent by way of a city ordinance, so that once established it continues permanently. The medical team of I-CAN-SERVE trains the city's health team of doctors, midwives and community health workers on early breast cancer detection techniques. Patient navigators, who are mostly nurses or community health workers, play an important role in making sure that patients get their treatments on time and that they complete all appointments and protocols. They are the bridge of the patient to the available services. They have saved lives and restored faith in the system." Independent research agencies have found that because of these interventions more Filipino women have now become less fearful of cancer and are emboldened to see their doctors. They believe that early breast cancer detection can save lives. Women do regular breast self- examination and are also encouraged to go for a check- up because they know help is available. Kara insists that it always helps to have a breast cancer survivor deliver her story. Whereas it may take several days for a doctor to explain that cancer is survivable; the mere presence of a cancer survivor is enough to reassure a cancer patient and convince her that there is life and love after cancer.